Wolf Commercial Real Estate (WCRE) has a listing for prime South Jersey office space that is immediately available for lease and occupancy at 712 Haddonfield Road in Cherry Hill. These 1,250-2,700 square-foot, first-floor South Jersey offices for lease are perfect for either general office or medical use. This South Jersey office space in Cherry Hill has an asking lease rate of $18.00/sf gross, plus utilities and janitorial services. With an average daily traffic count on Haddonfield Road in Cherry Hill of just under 30,000 vehicles a day, these South Jersey offices for lease sit in the middle of a three-mile population radius of more than 135,000 potential customers. This South Jersey office space is directly across from the power retail center on the site of the former Garden State Racetrack. There is convenient, immediate access from these South Jersey offices for lease to Routes 70 and 38 as well as to Kennedy Hospital-Cherry Hill and both the Lourdes and Cooper health systems in nearby Camden. 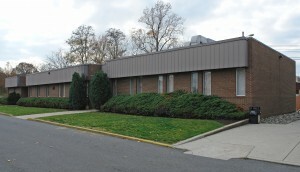 For more information about this Cherry Hill office space for lease at 712 Haddonfield Road in Cherry Hill or other office, medical or retail properties for sale or lease in Cherry Hill, Southern New Jersey and the Philadelphia region, contact either Jason Wolf (856-857-6301; jason.wolf@wolfcre.com) or Leor Hemo (856-857-6302; leor.hemo@wolfcre.com) at Wolf Commercial Real Estate, a New Jersey commercial broker. Wolf Commercial Real Estate (WCRE) is a full-service Southern New Jersey and Philadelphia region commercial real estate brokerage and advisory firm specializing in Southern New Jersey and Philadelphia commercial offices, retail properties and buildings for buyers, tenants, investors and sellers. Please click the links below for listings of Southern Jersey commercial real estate for lease or purchase or for information about medical, office or retail space for sale or lease. For companies and individuals seeking new office space in Southern New Jersey, the Philadelphia region, or anywhere in the country, Wolf Commercial Real Estate (WCRE) can help you find the office space that best meets your needs. WCRE will ensure that the sale or lease terms of the office space are the best fit with your goals. Wolf Commercial Real Estate’s approach is to help our clients from beginning to end in their search for new office properties. We start by understanding the goals you have for your new office space, and then we offer a full range of services that will take you all the way to move-in assistance. WCRE will survey building options to ensure you qualify for the right office space for sale or lease. To help you select the best office properties, we perform employee ZIP code analysis, employee commuting optimization, space plan programming, property tours, site identification, requests for proposals, property comparison cost analysis, lease negotiation, and construction cost review. For more information about office space for sale or lease in Southern New Jersey, the Philadelphia region or anywhere in the country, contact either Jason Wolf (856-857-6301;jason.wolf@wolfcre.com) or Leor Hemo (856-857-6302;leor.hemo@wolfcre.com) at Wolf Commercial Real Estate, the premier Southern New Jersey Commercial Brokerage and Advisory firm. WCRE is proud to have successfully represented G & M Investments, LLC in their acquisition of 301 Harper Drive and 304 West Route 38, Moorestown, NJ. G & M Investments acquired these two office buildings located in prestigious Moorestown, NJ from Computer Sciences Corporation. Jason Wolf and Leor Hemo of WCRE represented the Buyer. 301 Harper Drive, a 40,820 square foot office building, and 304 West Route 38, a 58,215 square foot office building are both located within the East Gate Business Center in Moorestown, Burlington County, New Jersey, just off of the heavily traveled Route 38. 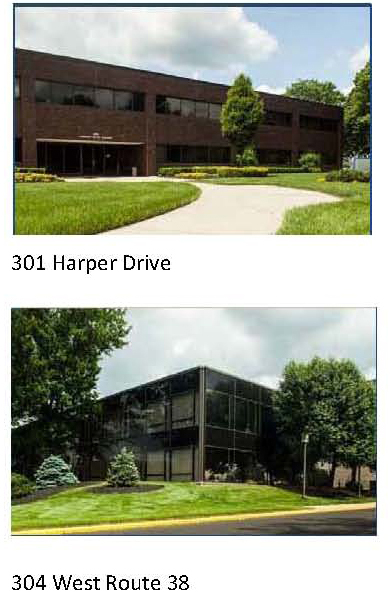 Totaling 99,035 square feet, 301 Harper Drive and 304 West Route 38 were acquired as vacant buildings. Both buildings offered a great opportunity for G & M to acquire two highly visible office buildings in one the best submarkets in South Jersey, situated in a campus-like setting, at a fraction of replacement cost. The properties benefit from an abundance of amenities nearby. The Moorestown Mall, East Gate Square Shopping Center, Wegmans and Main Street Moorestown are all within minutes of the properties. 301 Harper Drive and 304 West Route 38 are both located approximately 20 minutes from Philadelphia and offer immediate access to Interstate 295, Route 73 and the New Jersey Turnpike. “The purchase of these two office buildings provided an excellent opportunity for the parties involved. We’re very happy for G & M and excited about what this transaction will mean in terms of new opportunities for area businesses, jobs and workers.” said Jason Wolf of WCRE. WCRE is a full-service commercial real estate advisory firm specializing in Southern New Jersey office buildings, retail, industrial and investment properties. We provide a complete range of real estate services to commercial property owners, companies, and investors seeking the highest quality of service, proven expertise, and a total commitment to client-focused relationships. Through our intensive focus on our clients’ business goals, our commitment to the community, and our highly personal approach to client service, WCRE is creating a new culture and a higher standard. We go well beyond helping with property transactions and serve as a strategic partner invested in your long term growth and success. Learn more about WCRE online at www.wolfcre.com, on Twitter @WCRE1, and Like us on Facebook at Wolf Commercial Real Estate, LLC. 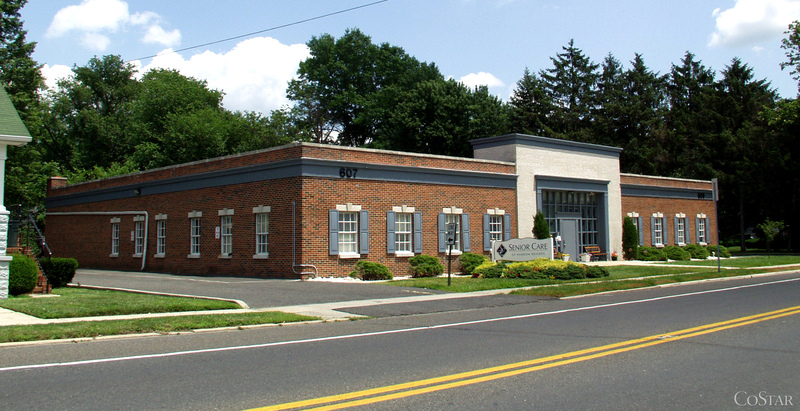 This premier South Jersey office space in Ironstone Village at 520 Stokes Road in Medford, NJ, now is available for lease from Wolf Commercial Real Estate (WCRE). 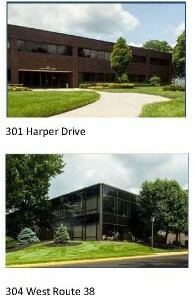 These South Jersey offices for lease range from 500 sf to 3,000 sf and are available for immediate occupancy. 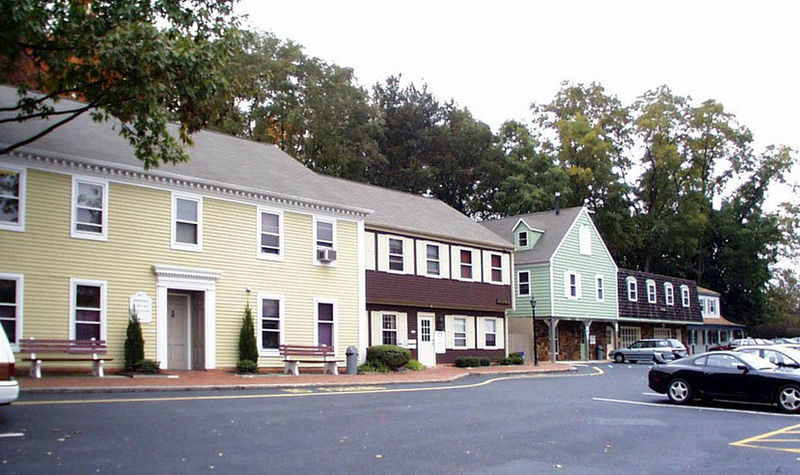 The asking lease price for this South Jersey office space is $18.00 sf gross, plus utilities. There is ample on-site parking at these South Jersey offices for lease in Ironstone Village at 520 Stokes Road in Medford, NJ. This South Jersey office space is located in the downtown Medford Business community. There are great amenities and retail in the surrounding complex at these South Jersey offices for lease for WCRE, a Southern New Jersey commercial real estate broker. An average of more than 77,000 vehicles a day drive by this Medford office space for rent in Ironstone Village at 520 Stokes Road and nearly 27,000 residents live within a three-mile radius of these South Jersey offices for lease. For more information about these South Jersey offices for lease in Ironstone Village at 520 Stokes Road or other office or retail properties or Southern New Jersey medical office space for sale or lease in Medford, Southern New Jersey and the Philadelphia region, contact either Jason Wolf (856-857-6301; jason.wolf@wolfcre.com) or Leor Hemo (856-857-6302; leor.hemo@wolfcre.com) at Wolf Commercial Real Estate, a Southern New Jersey commercial Realtor. Wolf Commercial Real Estate (WCRE) is a full-service Southern New Jersey and Philadelphia region commercial real estate brokerage and advisory firm specializing in Southern New Jersey and Philadelphia commercial offices, retail properties and buildings for buyers, tenants, investors and sellers. Please click the links below for listings of Southern Jersey commercial real estate for lease or purchase or for information about retail or office space for sale or lease. WCRE is proud to have successfully represented Henderson Engineers, Inc. (HEI) in its leasing of approximately 3,500 square feet of Class A office space at 5 Greentree Centre in Marlton, New Jersey. HEI is headquartered in Kansas City, with eight branch offices and 450 employees nationwide. This is the company’s initial entry into the Southern New Jersey market. As a firm establishing a presence in a new geographic location, HEI had very specific needs. The company presented WCRE with a specific set of building criteria and a detailed space plan to be accomplished in a very short time frame. HEI sought a “Class A” image and convenient access to all points in Southern New Jersey and Philadelphia as well as easy north/south access. WCRE quickly identified, toured, and short-listed the most suitable available office buildings within HEI’s criteria. Proposals were requested and 5 Greentree Centre was identified as the best location. WCRE led negotiations to get the best lease terms and deal on behalf of HEI. Five Greentree Centre is a 165,956 square foot multi-tenanted office building that has been described as the centerpiece of the business community of Southern New Jersey. 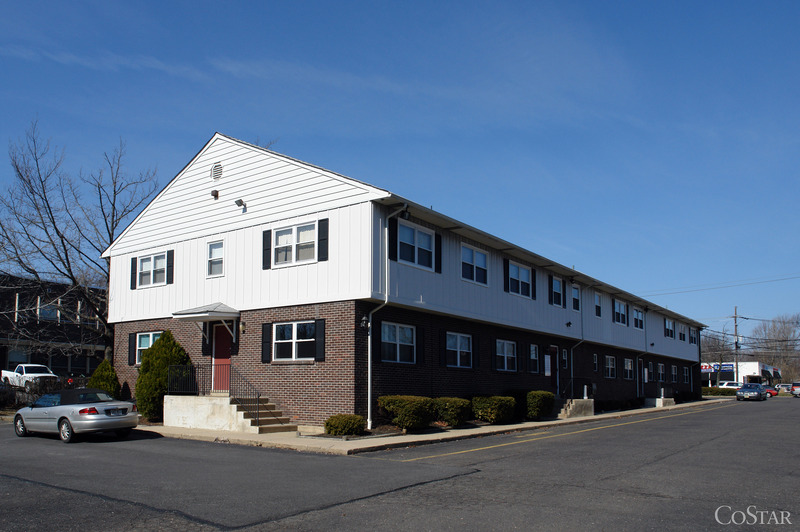 The four-story building is located at the intersection of Route 73 and Lincoln Drive West, making HEI’s new home easily accessible from Routes 73, 70, and 38, as well as I-295 and the New Jersey Turnpike. HEI is leasing the space from Tequesta Properties, Inc. which owns approximately 500,000 square feet in Southern New Jersey, and has invested significantly this year in upgrades and improvements to its many properties in Marlton, NJ. WCRE is a full-service commercial real estate advisory firm specializing in Southern New Jersey office buildings as well as office, retail, industrial and investment properties. We provide a complete range of real estate services to commercial property owners, companies, and investors seeking the highest quality of service, proven expertise, and a total commitment to client-focused relationships. Through our intensive focus on our clients’ business goals, our commitment to the community, and our highly personal approach to client service, WCRE is creating a new culture and a higher standard in Southern New Jersey tenant representation. 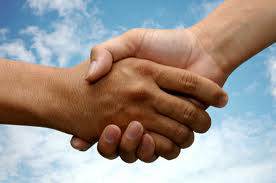 We go well beyond helping with property transactions and serve as a strategic partner invested in your long term growth and success. Learn more about Marlton New Jersey office space and buildings and about WCRE online at www.wolfcre.com, on Twitter @WCRE1, and on Facebook at Wolf Commercial Real Estate, LLC. Visit our blog pages at www.southjerseyofficespace.com and www.southjerseyretailspace.com. This premier South Jersey office space at 411 East Route 70 in Cherry Hill, NJ, now is available for lease from Wolf Commercial Real Estate (WCRE). This South Jersey office space for lease is 1,377 sf on the building’s second floor and is available for immediate occupancy. This South Jersey office space has an aggressive full service rental asking price. The parking ratio is excellent at this South Jersey office space for lease at 411 East Route 70, Cherry Hill, NJ. This South Jersey office space is within close proximity to I-295, providing convenient North/South access and is surrounded by retail, restaurants and banks. An average of more than 52,000 vehicles a day drive by this Cherry Hill NJ office space for lease at 411 East Route 70 and nearly 89,000 residents live within a three-mile radius of this South Jersey office space. For more information about this South Jersey office space for lease at 411 East Route 70 or other office or retail properties for sale or lease in Cherry Hill, Southern New Jersey and the Philadelphia region, contact either Jason Wolf (856-857-6301; jason.wolf@wolfcre.com) or Leor Hemo (856-857-6302; leor.hemo@wolfcre.com) at Wolf Commercial Real Estate. Wolf Commercial Real Estate (WCRE) is a full-service Southern New Jersey commercial real estate brokerage and advisory firm specializing in Southern New Jersey and Philadelphia commercial offices, retail properties and buildings for buyers, tenants, investors and sellers. Please click the links below for listings of Southern Jersey commercial real estate for lease or purchase or for information about retail or office space for sale or lease. This premier South Jersey office space at 607-609 White Horse Pike in Audubon, NJ, is now available for sale or lease from Wolf Commercial Real Estate (WCRE). This South Jersey office space for rent can be leased in divisible units of from 2,500 sf to 8,500 sf and is available for immediate occupancy. The asking lease price for this South Jersey office space is $15.00 sf gross plus utilities and janitorial. The asking sale price of this South Jersey office space for rent is $765,000. There is abundant parking in the rear of the building at this South Jersey office space for rent at 607-609 White Horse Pike in Audubon, NJ. This South Jersey office space is located on Route 30 within close proximity to I-295, providing for convenient north/south access. This South Jersey office space for rent is surrounded by retail, restaurants and professional users. An average of more than 21,000 vehicles a day drive by this Audubon NJ office space for rent at 607-609 White Horse Pike and nearly 127,000 residents live within a three-mile radius of this South Jersey office space. For more information about this South Jersey office space for sale or lease at 607-609 White Horse Pike or other office or retail properties for sale or lease in Audubon, Southern New Jersey and the Philadelphia region, contact either Jason Wolf (856-857-6301; jason.wolf@wolfcre.com) or Leor Hemo (856-857-6302; leor.hemo@wolfcre.com) at Wolf Commercial Real Estate. This premier “Class A” South Jersey office space at 999 Route 73 in Marlton, NJ, now is available for lease from Wolf Commercial Real Estate (WCRE). This South Jersey office space for lease is available in divisible units of from 2,000 sf to 15,000 sf and is available for immediate occupancy. The asking lease price for this South Jersey office space is $15.00 sf, NNN. 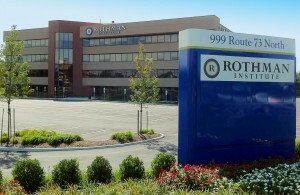 There is abundant parking at this South Jersey office space for lease at 999 Route 73, Marlton, NJ, at 4.5/1000. 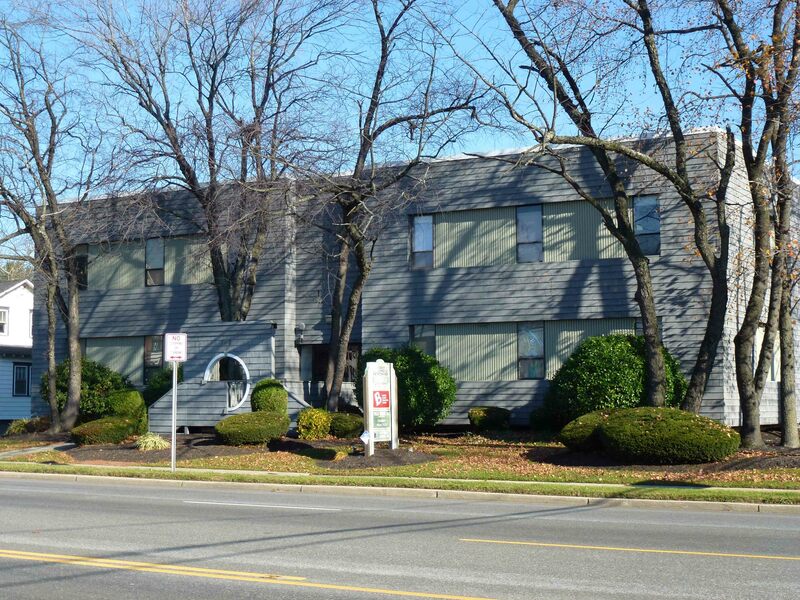 This South Jersey office space is located directly across the street from the Greentree Shopping Center. There has been significant interior and exterior capital upgrades recently completed at this South Jersey office space for lease and it has strong ownership and management in place. This South Jersey office space is a highly visible corner property at a landmark intersection and provides immediate access to Routes 73, 70, I-295 and the New Jersey Turnpike. 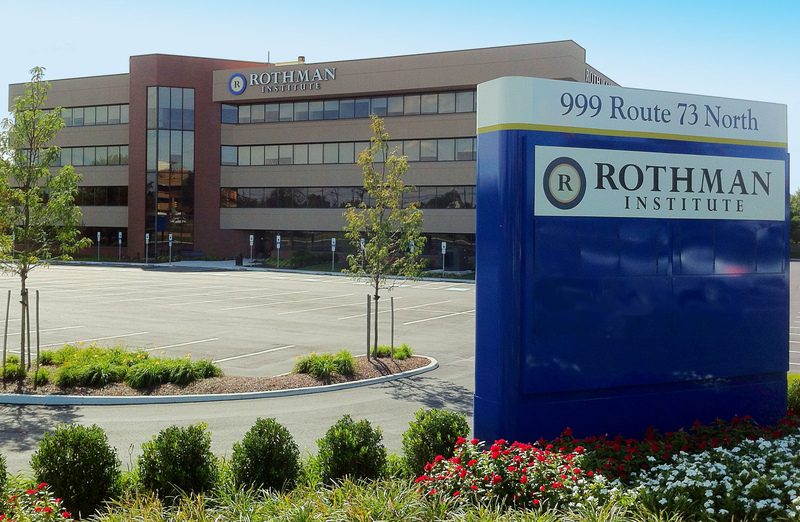 An average of more than 46,000 vehicles a day drive by this Marlton NJ office space for lease at 999 Route 73 and nearly 78,000 residents live within a three-mile radius of this South Jersey office space. For more information about this South Jersey office space for lease at 999 Route 73 or other office or retail properties for sale or lease in Marlton, Southern New Jersey and the Philadelphia region, contact either Jason Wolf (856-857-6301; jason.wolf@wolfcre.com) or Leor Hemo (856-857-6302; leor.hemo@wolfcre.com) at Wolf Commercial Real Estate. Wolf Commercial Real Estate (WCRE) is a full-service Southern New Jersey and Philadelphia region commercial real estate brokerage and advisory firm specializing in Southern New Jersey and Philadelphia commercial offices, retail properties and buildings for buyers, tenants, investors and sellers. Please click the links below for listings of Southern New Jersey commercial real estate for lease or purchase or for information about retail or office space for sale or lease. While cautious optimism was the tone of the second quarter in the local commercial real estate market, the third quarter was more about caution than optimism, Wolf Commercial Real Estate said in its latest quarterly analysis of Southern New Jersey, published this week. But those expecting better news can take solace in the fact that the firm found many positive trends, and even some of the bad news was either cyclical or expected. WCRE’s research, which includes snapshots of the office and retail markets, finds several positive indicators that kept the South Jersey office market active in the third quarter, just not with the same velocity it had in the second quarter. These include increased deal activity among large corporations – several of which were seeking new headquarters in the region, interest rates remaining near historic lows, and all REITs in the market performing better than in the previous quarter. This good news was tempered by factors that are causing some businesses and investors to stay on the sidelines a while longer. “This extended period of very low interest rates coupled with low rental rates continues to encourage activity, but world events such as the slow recovery of the U.S. economy, the ongoing European ﬁnancial crisis, and fears about what some are calling a “fiscal cliff” of tax increases and government spending cuts set for early next year will continue to inﬂuence the timing of real estate decisions,” said Jason Wolf, founder and principal of WCRE. According to the WCRE office report, there were about 300,000sf in renewals and new lease transactions in Southern New Jersey during the quarter, with renewals comprising most of the transactions. This is down from more than 450,000sf in the second quarter. Average rents for Class A & B product in the South Jersey office market remained at the improved level they reached in the second quarter, continuing to show strong support in the range of $10-$14.00/sf NNN with an overall market average of $11.00/sf NNN for the deals completed during the third quarter. Positive absorption for the third quarter was in the range of 106,000+/-sf of new deals and/or expansions. This represents a 15 percent decrease from the volume of positive absorption in the second quarter. Moorestown, Marlton and Mount Laurel continue to show strength in the South Jersey office market, while a large share of the region’s vacancies remain in Voorhees, Pennsauken, and the west side of Cherry Hill. There are several large office buildings and portfolio sales, along with other large transactions pending that are expected to close during the fourth quarter. Tenants continue to take advantage of low rental rates and are securing long-term lease commitments. The pattern of this flight to quality – upgrading to better locations and spaces – is expected to continue. Overall retail space vacancy is still hovering in the 17-18% range, but the market has stabilized, and prime retail locations have very little vacancy. Average rents for Class A retail product continue to show strong support in the range of $30-$40.00/sf NNN. Class B product shows support in the range of $15-$23/sf NNN. Just as office tenants are doing, retailers are continuing to make the most of low interest rates and low rental rates to focus on quality and prime location. Learn more about WCRE online at www.wolfcre.com, on Twitter @WCRE1, and on Facebook at Wolf Commercial Real Estate, LLC. Visit our blog pages at www.southjerseyofficespace.com and www.southjerseyretailspace.com. These premier South Jersey office spaces at 1173 East Landis Avenue in Vineland, NJ now are available for lease from Wolf Commercial Real Estate (WCRE). 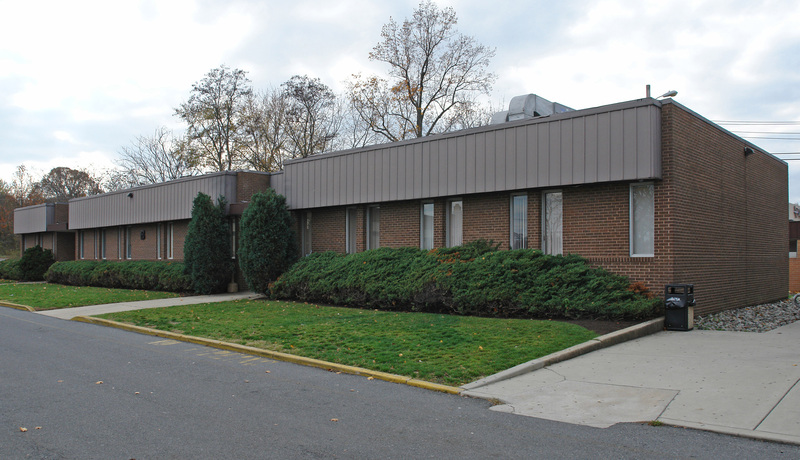 This South Jersey office space is comprised of two units at 1173 East Landis Avenue. One suite is 2,050 sf and the other unit is 2,700 sf. These South Jersey office spaces for lease are available for immediate occupancy and are divisible into a minimum of 1,000 sf. 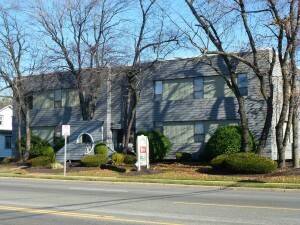 The asking lease price for these South Jersey office spaces is $16.00 sf, full service. There is abundant parking at this South Jersey office space for lease at 1173 East Landis Avenue, Vineland, NJ. These South Jersey office spaces are located at the intersection of Landis Avenue and Main Avenue in the heart of the Vineland business district. This South Jersey office space is within walking distance to retail, restaurants and other professional users. An average of more than 11,000 vehicles a day drive by these South Jersey office spaces for lease at 1173 East Landis Avenue and more than 49,000 residents live within a three-mile radius of this South Jersey office space for lease. For more information about these South Jersey office spaces at 1173 East Landis Avenue or other office or retail properties for sale or lease in Vineland, Southern New Jersey and the Philadelphia region, contact either Jason Wolf (856-857-6301; jason.wolf@wolfcre.com) or Leor Hemo (856-857-6302; leor.hemo@wolfcre.com) at Wolf Commercial Real Estate. Wolf Commercial Real Estate (WCRE) is a full-service Southern New Jersey and Philadelphia region commercial real estate brokerage and advisory firm specializing in Southern New Jersey and Philadelphia commercial offices, retail properties and buildings for buyers, tenants, investors and sellers. Please click the links below for listings of South Jersey commercial real estate for lease or purchase or for New Jersey office space for lease or any other information about retail or office space for sale or lease.